Cheesy “Heaven” Image, because nobody clicks on pages with Jonathan Edwards. Recently, I’ve been on something a Jonathan Edwards kick. Though I’d been kind of interested in Edwards before–his The End for Which God Created the World and a collection of his sermons exercised a deep influence on me a few years ago–I hadn’t really dug deeply into his voluminous and wide-ranging works (sermons, treatises, miscellanies), partially because I felt I needed a guide into them. Some might think, “A guide for Edwards? Really?” Yup. As it turns out, Edwards was rather metaphysically-sophisticated, and, in some places, kind of a quirky odd-ball in the Reformed tradition, which plays out in places you wouldn’t expect. For that reason, I decided to get my hands on Kyle Strobel’s Jonathan Edwards’ Theology: A Reinterpetation. It’s been an eye-opener. Thing is, this isn’t just a modest field-guide for the novice reader. Strobel’s work comes in the midst of a recent wave of Edwards scholarship in the blossoming field of “Edwards Studies”, with an aim to correct a lot of the discussion that’s gone before, and reset a lot of the conversation surrounding the basic shape of Edwards’ theology. Now, from where I stand as a total non-expert and unqualified observer, I can’t judge how much he does that. What I can say is that’s been a fascinating, helpful read so far. And the Son of God is not only the infinite object of love, but he is also an infinite subject of it. He is not only the beloved of the Father, but he infinitely loves him. The infinite essential love of God, is, as it were, an infinite and eternal, mutual, holy, energy between the Father and the Son: a pure and holy act, whereby the Deity becomes, as it were, one infinite and unchangeable emotion of love proceeding from both the Father and the Son. This divine love has its seat in the Deity, as it is exercised within the Deity, or in God toward himself. From this eternally happy and glorious self-knowledge and love, flows God’s purpose in creation and the history of redemption: God’s benevolent self-glorification in the communication of the overflow of that good to creatures. Everything else from Edwards’ quirky take on the attributes of God, his understanding of heaven, earth, and hell, the structure of redemptive history, the nature of union, justification, sanctification, and glorification, and so on, has its ground in Edwards’ irrefragably trinitarian theology. And yes, thinking these things through with Edwards and Strobel really is as heady, intoxicating, difficult, and rewarding it sounds. One particular section that caught my attention was the way this vision grounds Edwards’ vision of heaven as “a world of love”, which he gets into in a sermon by the same title I have already quoted above. Edwards’ vision of heaven is fascinating for a number of reasons, not least of which is his appreciation for its dynamic, historical character. Yes, according to Edwards, even heaven has a history, with different eras ushered in by the different stage of Christ’s historical work of redemption. Heaven and earth and more intimately bound up with each other, in that respect, than many of us typically appreciate. Here I remark that the God of love himself dwells in heaven. Heaven is the palace or presence-chamber of the high and holy One, whose name is love, and who is both the cause and source of all holy love…And this renders heaven a world of love; for God is the fountain of love, as the sun is the fountain of light. 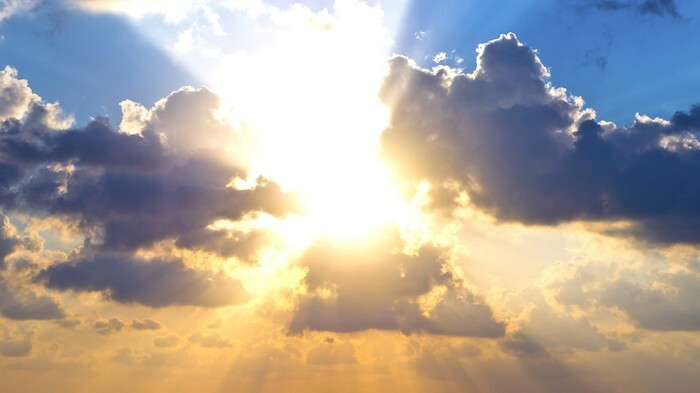 And therefore the glorious presence of God in heaven, fills heaven with love, as the sun, placed in the midst of the visible heavens in a clear day, fills the world with light. The apostle tells us that “God is love;” and therefore, seeing he is an infinite being, it follows that he is an infinite fountain of love. Like Bavinck, Edwards knows that the best part of Heaven or the New Creation is that it is the dwelling of God himself. God is not secondary or tertiary to the good of heaven, but the central focus of it. God is what makes heaven heavenly. There, even in heaven, dwells the God from whom every stream of holy love, yea, every drop that is, or ever was, proceeds. There dwells God the Father, God the Son, and God the Spirit, united as one, in infinitely dear, and incomprehensible, and mutual, and eternal love. There dwells God the Father, who is the father of mercies, and so the father of love, who so loved the world as to give his only-begotten Son to die for it. There dwells Christ, the Lamb of God, the prince of peace and of love, who so loved the world that he shed his blood, and poured out his soul unto death for men. There dwells the great Mediator, through whom all the divine love is expressed toward men, and by whom the fruits of that love have been purchased, and through whom they are communicated, and through whom love is imparted to the hearts of all God’s people. There dwells Christ in both his natures, the human and the divine, sitting on the same throne with the Father. And there dwells the Holy Spirit — the Spirit of divine love, in whom the very essence of God, as it were, flows out, and is breathed forth in love, and by whose immediate influence all holy love is shed abroad in the hearts of all the saints on earth and in heaven. This delight doesn’t consist only in the believer’s union with God, but, if I’m getting it right, in the greater union believers have with each other. Strobel says, “seeing and knowing God in this manner results in unity among the members” as they jointly grow in their love, knowledge, and worship of the Redeemer to whom they are mutually united (106). The communion of the saints is part of the delight of heaven brought about by, founded on, and participating in the communion of the Triune God. …infinite fountain of love — this eternal Three in One — is set open without any obstacle to hinder access to it, as it flows forever. There this glorious God is manifested, and shines forth, in full glory, in beams of love. And there this glorious fountain forever flows forth in streams, yea, in rivers of love and delight, and these rivers swell, as it were, to an ocean of love, in which the souls of the ransomed may bathe with the sweetest enjoyment, and their hearts, as it were, be deluged with love! That is a vision to stir the affections, create a longing in our hearts, and a vision of hope that ought to press us to anticipate our future with God even now. Well, first by seeking after the glory of the Triune God through prayer. Remember, we have access even now through Jesus and the Spirit, to the throne room of the Father. What’s more, in Scripture, we are presented with a vision of Jesus, our Redeemer, working in the power of the Spirit, in whom we see the perfect Image of the Father.